The Powerful Owl (Ninox strenua) is Australia’s largest species of owl. 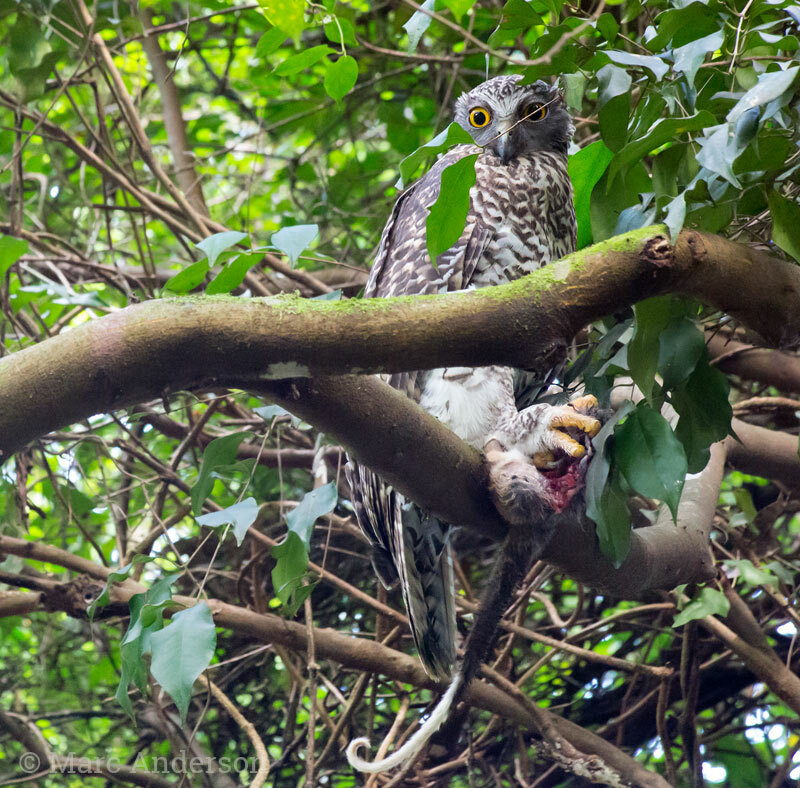 Found in forests and woodlands of south-eastern Australia, Powerful Owls are generally uncommon and have been adversely affected by land clearing. However they can sometimes be found living in urban areas (even in city parks!) and currently Birdlife Australia is sponsoring a research project aimed at gathering vital data about the behaviour of this species. April is a good time to hear the sounds of Powerful Owls as they are entering the breeding season and often call just before dawn and just after dusk. This first sample was recorded in the Royal National Park, Sydney, just before dawn. The deep, slow ‘woo-hoo’ call is diagnostic of this species and is generally lower-pitched and more drawn out than the typical calls of the Southern Boobook (Ninox boobook). In this recording you can a Bassian Thrush (Zoothera lunulata) singing in the background and a Fan-tailed Cuckoo (Cacomantis flabelliformis) call occasionally. Light rain is falling in the early morning darkness. Between 1:30 and 2:10, the owls call changes. At this time, another owl, presumably the male, flew from a nearby tree to join its mate and you can hear some softer interaction calls between the two. 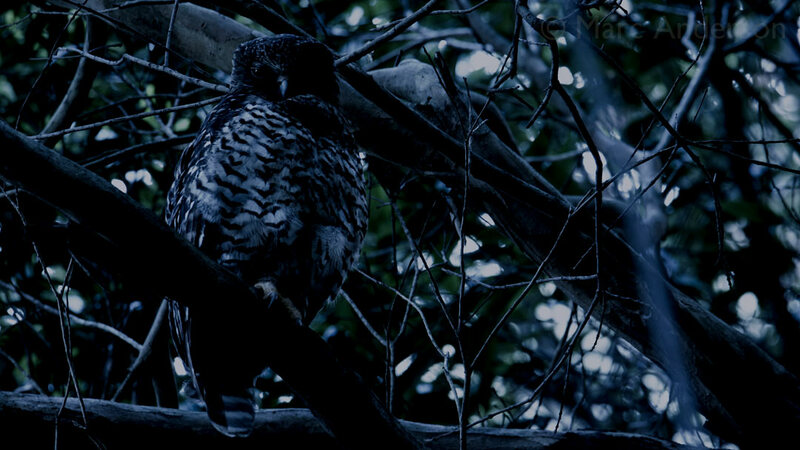 This second audio sample was recorded in the southern Blue Mountains and features two Powerful Owls calling. The deeper call is the male and the higher pitched call is the female. At about 23 seconds you can hear a Yellow-bellied Glider glide in from the right and land and scramble up a tree to the left. An Australian Owlet-Nightjar calls a couple of times in the background.